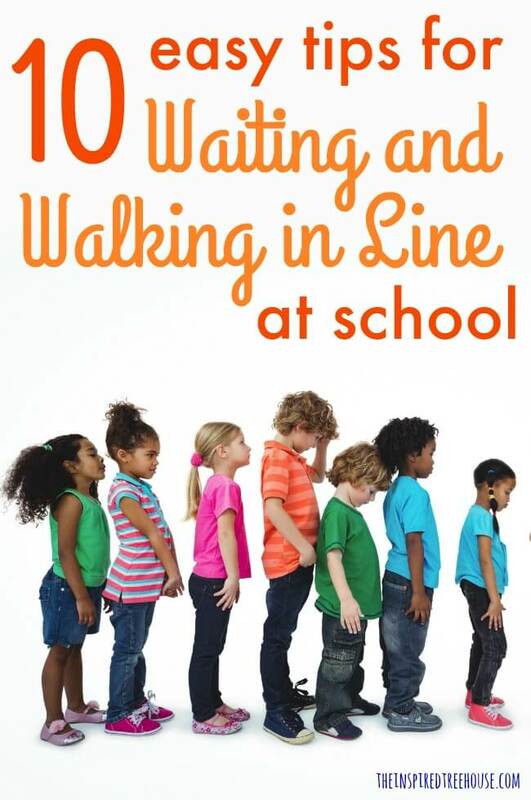 Waiting and walking in line are important school-related skills for kids, but can be challenging for many. Check out these simple tips! Stop touching the artwork on the walls. Give your friends some personal space. Sound familiar? If you work in a primary or elementary school, these lines probably echo in your head in your sleep! Waiting and walking in line throughout the school building are part of the regular school routine and can present a challenge for many kids who have difficulty with self-regulation and controlling their voices, speed, movements, and behavior in the hallways. In order to get from point A to point B safely and appropriately while walking in a line, kids have to be able to regulate their behaviors and impulses. This means keeping their hands to themselves, regulating their speed, regulating the volume of their voices, and maintaining appropriate body space with their peers. Kids need to be able to attend to their teacher both by making eye contact and by listening intently for instructions and redirection. They need to have the cognitive skills to navigate the layout of the school building by remembering where their classroom is, where the bathroom is, where the main office is, and more! They need to demonstrate motor planning, coordination, and visual perceptual skills in order to navigate obstacles (i.e. their buddy who stopped to tie his shoe), stay in a uniform line, and ascend and descend stairs when necessary. 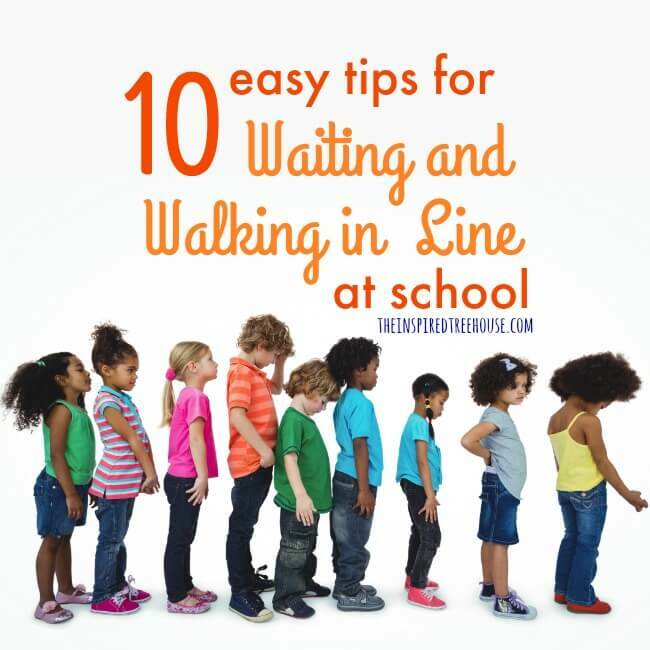 In short, waiting and walking in line at school is no easy task! 1 || Try a heavy work activity before each transition. Heavy work activities are tasks that require working or moving against resistance or providing impact to the joints and muscles. For many kids, these activities offer calming and organizing input to the proprioceptive system. Try wall pushes, jumping jacks, frog jumps, or chair dips. These calming techniques and transition strategies are also great for wait times when kids are waiting to take their turn in the bathroom or if you arrive early for gym, art, or library. 2 || Use stop signs and checkpoints. These are places around the school building where your line can stop and regroup. Stragglers can catch up, the teacher can move from the back to the front of the line again, and everyone can double check that they’re following the rules of the hallway. If your school building doesn’t already have stop signs or checkpoints set up in the hallways, establish your own with your students. They can be stop signs placed at intersections, or even just specific places like the bathroom, the office, the end of the hallway, etc. 3 || Tape or paint shapes on the floor to show spacing. Just inside the classroom door, tape or paint shapes on the floor, ensuring that the distance between them is the distance you would like to see between your students when they line up. This provides a visual indicator that helps with body awareness. You can also try using different shaped floor clings for the same effect. 4 || Try a walking rope. For younger kids, we’ve seen teachers have great success with using a walking rope that has colorful handles for kids to hold onto as they transition around the building or out to the playground. It’s a nice tangible way for kids to learn how to stay in line with their peers and kids get excited about choosing which colored ring they get to hold! 5 || Introduce body space and body awareness activities. 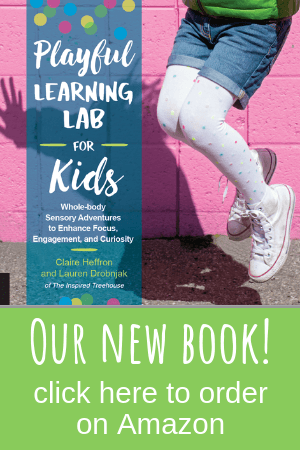 Before they can be expected to walk in a line in the hallway, kids need to develop strong body awareness, or a sense of where all of their body parts are in space, how each of those parts work together or separately, and even how they feel. Introduce a body sock for kids to play with during indoor recess or free time. Or try a game of body soccer as a movement break. Kids also need to learn how to maintain appropriate personal space in order to walk and stand in close proximity to their peers. One of our favorites is Rabbit Hole, but be sure to check out these 20 Personal Space Activities for Kids from A Mom With a Lesson Plan. 6 || Use fidget toys and other “hall passes”. This was a little invention we came up with at work for a few kids who needed to keep their hands occupied while moving through the building. The “fidget toy hall pass”! We had a few fidget toys that we kept on reserve near the classroom door for kids to use only when they were transitioning in the hallway and called them “hall passes”. For some kids, we took things a step further and made a weighted hall pass. These were designed to give kids something to do with their hands while also providing some heavy work as a calming sensory strategy. We simply took a shoe box that had handles cut out of the sides, weighted it with sand in a plastic bag, and taped it shut. Some kids would choose this as their hall pass before leaving the classroom. We also achieved the same effect by placing a couple of weights from a weighted lap pad into an empty plastic chip container (like this one) for another hall pass option. 7 || Keep a key ring with movement activities handy for waiting in the hallway. Or try these free hallway waiting games! Write the names of movement activities (like the ones listed in #1 above) on index cards, punch holes in them, and attach them to a key ring. Hang the key ring by the door to make it easy to grab on your way out for each transition around the building. Try one of the activities at each checkpoint/stop sign as your class walks through the hallway. Or try a few while you’re waiting in line for the bathroom. Our free hallway waiting games are the perfect movement activity for kids while waiting in the hallway. 8 | Bring a prop to encourage movement at checkpoints or while waiting for bathroom. -A small piece of paper with tape on the back. While kids are waiting in line, tape it up high on the wall and see if they can jump to touch it one at a time. -A hula hoop. Set it on the floor when you’re stopped at a checkpoint. Have kids jump into it and back out one at a time as they leave for the next checkpoint in the hallway. Repeat as you move through the building. -A large cardboard building block. For stepping or jumping over at each checkpoint (as described above). 9 || Make it a game. Keep little minds and eyes occupied and focused by playing a game of I Spy as you transition throughout the building. Before you leave the classroom, challenge the entire line to look for 3 red things in the hallway as you make your way to the gym. Or have them hunt for something that is round on your way to the cafeteria. 10 || Work on those stairs. When kids aren’t 100% confident in their ability to climb up and down stairs, they may hesitate or approach the stairs with extreme caution during transitions around the school building. For kids who live in apartment buildings or single-level homes, stairs may present an extra challenge since they haven’t had as much exposure to them. Here are some of our best ideas for helping kids learn to climb stairs safely. 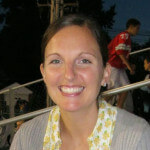 What are your most creative ideas for helping kids walk and wait in line? 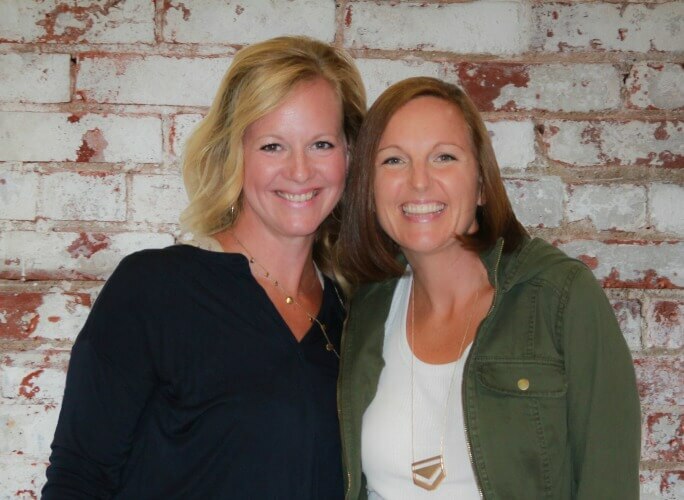 We’re sure that there are teachers, therapists, and schools out there who have come up with great ideas and solutions for this school-related skill! Share your ideas in the comments below! We’d love to hear them! WE’RE WALKING IN A LINE, IN A LINE. tHEN WE CAN CHANGE IT – WE’RE MARCHING IN A LINE, WE’RE TIP-TOEING IN A LINE – ETC. tHE KIDS CATCH ON TO THE SONG QUICKLY, AND WILL START TO SING IT AS SOON AS WE START OUR WALK. IT DOES HELP TO HAVE A VISUAL LINE TO FOLLOW, OURS IS A SEAM IN THE PAVEMENT ON THE WAY TO THE PLAYGROUND.